Construction cranes at a Ballston high rise project at the former home of the Carpool bar. Researchers with the Metropolitan Washington Council of Governments, a coalition of local leaders, have warned in the past that the region needs to add about 100,000 more homes through 2045, or else risk seeing rent prices creep up even higher and more people pushed into the outer suburbs. Their latest data, unveiled yesterday (Wednesday), suggest that localities across Northern Virginia, Maryland and D.C. have already put plans in place to meet even that large number. The vast majority of that work was completed before Amazon announced its plans to head to Arlington (to say nothing of the news that it’s canceling its New York City plans as well), but officials are confident that region’s population boom of the last few years has spurred the right kind of planning work to account for the tech giant’s arrival as well. But planners are also cautioning the region’s leaders that everything from land-use policies to the high cost of construction to “not-in-my-backyard” sentiments are sure to confound their efforts to actually meet that demand for new housing. Perhaps unsurprisingly, restrictive zoning and land-use policies are one of the chief obstacles planners identified for local leaders to tackle as they seek to add more homes. Many activists and Arlington officials have already begun discussing the best ways to increase density in the county, and that’s included the fraught topic of up-zoning areas previously reserved for single-family homes. But those considerations are only one piece of the puzzle, according to the COG’s analysts. Trueblood pointed out that the region is getting better at concentrating housing in “activity centers” around Metro stops or other public transit options. But as land close to transit becomes more scarce, it also becomes more expensive, ramping up the costs of the sort of development planners are most enthusiastic about encouraging. Trueblood added that the “unstable construction cost market” has also complicated other development efforts. Other developers have been frustrated by local opposition to dense developments, particularly when it comes in the form of legal action targeting even “by-right” developments, which don’t require extensive government review. But, in Northern Virginia particularly, officials say that a lack of interest from developers is far from an issue. Arlington is certainly grappling with that issue as well. County officials are locked in a debate about the best way to meet their own affordable housing goals — possibilities range from setting aside more cash to spur affordable developments to opening up zoning rules to allow a more diverse array of housing types. 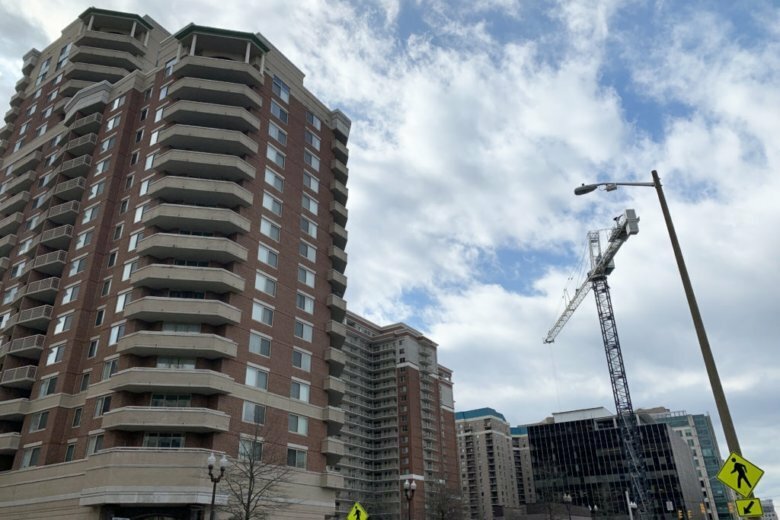 Helen McElveen, Alexandria’s housing director, expressed optimism that the private sector will step up in some regard on that front — she noted that dominant Crystal City developer JBG Smith has expressed a particular interest in funding more affordable homes. But she also cautioned that local governments themselves will always have a dominant role to play in subsidizing apartments affordable to the lowest income renters. The COG’s analysts expect that their next steps are to study “the specific challenges (public and private) to developing more housing” in those “activity centers” around mass transit options, and deliver recommendations for overcoming those issues. That will surely take some time to sort out, but planners say they’re well aware of the urgent need for answers to the questions.